professional body whose members are required to adhere to a Code of Conduct and are bound by strict rules of confidentiality. 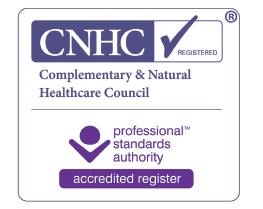 I an also registered with the Complementary & Natural Healthcare Council. I have always been interested in health and fitness and have gained qualifications in ITEC reflexology, indian head massage, beauty therapy and RSA exercise to music. My first experience of yoga was at 9 years old and have practiced yoga most of my adult life. I taught aerobics for five years before studying to become a yoga teacher with the Sunra Institute in 2006 and gaining my qualification recognised by Yoga Alliance. I have been teaching yoga classes ever since for pregnancy, mum and baby and hatha yoga. Also a qualified midwife, I graduated with a first class honours degree at Greenwich University in 2012 and have combined my skills to work with women and their families teaching Hypnobirthing classes. 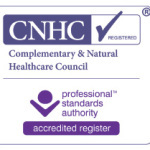 I qualified with the HypnoBirthing Institute in 2006 and have also completed training with Katherine Graves, whose course is accreditied with The Royal College of Midwives. I have helped many couples to have a calm and satisfying birth. I am very passionate about enabling positive changes to improve peoples lives, reach their goals and enrich their lives with the help of yoga, hypnotherapy and relaxation.